San Antonio's Sony TV repair experts. What can you say about Sony TVs? If you've owned a Sony TV you know the difference in picture and sound quality. Sony TVs can sometimes take a little longer to repair because their circuits can be a little more complex than other manufacturers. That is why it is important to hire an experience Sony TV repair technician to work on your set. Let us help you out with a product we love working on. KDL-52XBR9 Sony logo comes on screen. Shuts down. 6 blink error code. KDL46NX720	KDL46HX820 Shutdown. 6 blink code. KDL-40BX450 No picture. Green LED turns on. KDL-40EX400 shut down 5 flash error code. KDL46HX800 Set comes on switching solid colors on the screen like a test mode. Sometimes gives 5 blinks. KDL-40XBR2 Int. or no pi'ture. KDL46EX400 Relay clicks when plugged in. Then dead no indicator light. KDL46EX500 Can hear a relay click when plugged in and then nothing. No indicator light. KDL40V2500 At power up relay clicks, power indicator stays steady green, on the screen the time OSD flickers for a few seconds at low brightness level. KDL52W4100 Dead set, no indicator light. KDL52NX800,KDL46NX700, KDL46EX701,KDL55EX710, KDL55EX720 No power. No standby. KF50XBR800 Comes on with picture/screen for 30 seconds, goes off for another 30 seconds, and the cycle repeats unattended. The standby indicator flashes when set coming up. The lamp indicator never flashes. KP53XBR200 No convergence. Autofocus goes through the sequence but has no effect. STRD350Z Doesn't come on, shows "PROTECT". STRDA80ES Not functional, displays "PROTECT". KF50WE620 No picture, has sound for one second then shuts down. 4 blinks. KDL40V2500 Picture comes up for a second then shuts down. 4 blinks. KDF50WE655 Shuts off after a few minutes and restarts by itself. Shorter and shorter cycle while warming up. HCDC770 Doesn't come on, indicator only. KDL40U2000 No start-up, red LED flashes 3 times. KDL32S3000 Turns on, shuts down w/5 blink code. KDL52W4100 Shut-down 14 blink error code. KV27FS13 Won't start. 4 blinks. HCDFR88 Doesn't read DVD, intermittent. KDS50A2000 Won't start. 4 blinks. KF60WE610 Set doesn't come on, or runs for awhile and shuts down, relay clicks off, power indicator flashes 6 times. Also when on, a fan makes a little more noise than usual. KF50WE610 DEAD. 6 BLINKS. Doesn't even try to start. KDL40V4100 After power surge, set no longer comes on, indicator flashes, no relay click. KP61S65 No run voltages, Keeps blowing regulator. KDL40S2000 Top half of pi'ture dark but dosnt shut down even tho' inverter is bad. KDL46XBR6 TV comes on with no video. After shutdown, light flashes 12 times. SLV696HF Bad picture, can't track, eats tape when ejecting. KDL32L4000 Video has horizontal bars across the screen. KV32FS120 Doesn't come on. Indicator flashes 9 times repeatedly. ICFSW1 Crackling noise out of the speaker, audio OK out of headphones. STRSE501 No audio output, any channel. KV24FS120 vertical paring lines (horiz) over bottom half of raster. Improves as set heats up, responds to freeze. SAVA500 Intermittent audio output to left and right rear speakers. KDL32XBR6 Lamps turn on for a second then shut down. LED blinks 6 six times. ZSD50 Cassette holder won't stay closed. KP53XBR45 No picture, has sound. Previously picture would expand after 20 min. STRDE845 Distorted sound on left channel. Prior repair attempt by customer. KDL40S2010 Set comes on OK, in 5 secs shuts down and 4 blinks (which usually means inverter). KV32HS510 Dead set. Prior trouble to come on. KDF55WF655 Set will not power up led blinks 6 times. KV32V36 No picture after 15 min, sound OK.
KF60WE610 Doesn't come on. Power/standby indicator flashes, then lamp indicator flashes. KV32HS500 Int shutdown, more when cold, 6 or 7 blink code. KDL40S2010 Picture all distorted... swirls, sparkes, colors negative. KDL32M3000 Int. slow to refresh (OK when cold). STRSE391 No audio output from rear speakers terminals or subwoofer jack. KLVS40A10 Dead - Power led blinks 2 times. KV8AD10 Doesn't come on with AC power, OK with DC power. KDL40S4100 Left side of Pix noisy & dark. STRDE185 Doesn't come on, repeat click only. DVPNC85H (DVD Changer) Not functional, tray stuck open, stuck DVD in optical pick-up. STRDE335 Not functional, shows "PROTECT" on display after a few seconds. KD36FS130 blinks 4 times, or relay clicks on, when power button is pushed, buy still dead. KV27FS100 Top of picture shrunk/distorted. STRD565 Doesn't come on, displays "PROTECT", speakers relay doesn't click. SLV373UC Can't play, can't record, jams tape, can't eject. DVPNC875V Doesn't recognize DVD, OK with CD, intermittent. KDL40S20L1 Sound, no picture, no OSD. Lamps light up. EVS7000 Fluorescent display of control switch block not functional. GVD200 Jams tape, stuck tape. KLV32U100M Dead set or comes on with intermittent screen. KP51HW40 Screen lights up with retrace lines than shuts down. KV32S45 No raster, indicator keeps flashing. KDFE42A10 Power/Standby indicator flashes for 40 sec with the lamp off, then goes solid green for 20 sec and the cycle repeats consistently. The lamp indicator never comes on. KV27TS27 Noisy and distorted audio from tuner, worse when warmed up. CCDTRV65(Hi8) Can't load cassette, stops midway, no threading. OK without cassette. KV27FV310 Dead - Power led blinks 2 times. KDL46XBR3 Set back light comes on but no video for 5-10 minutes, back light seems low. STRK6800P push power and after a few seconds the protect light comes on. STRDE845 Intermittently no audio output. KDF60WF655 Comes on OK but then picture shuts off after about a minute. Then comes back on after 30 seconds or so. This cycle continues to repeat. STRDE525 Not functional, shows "PROTECTOR" on display. HCDGX45 Doesn't play CD, intermittent. STRK740P Dead set after accidental spillage. STRDE705 No standby; no power. Go to Sony's Official Customer Support for your product manuals and information. So what is the downside of Sony TV Repair? 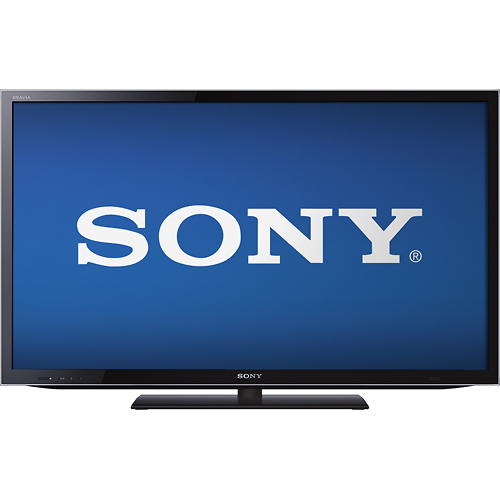 Often Sony TV parts are more expensive than parts from other TV brands. The upside is normally in the quality of the picture, sound and software in a Sony TV. The other positive part is that their power supply boards are often repairable. Their power supplies are so well designed and built that when there is a problem, the problem will stay contained in one area. This means we can repair that original board without having to replace it. That translates to lower cost on repairs. Often the replacement parts we use end up being upgrades to the original. So you end up getting a better product than if you buy a new power supply board. The same applies to Sony inverter boards and LED driver boards. That is why with SONY TV repair they are almost always worth repairing. And often they are cheaper and faster to repair when we can repair their Sony TV boards at the component level.